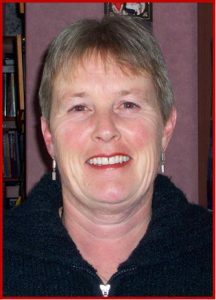 I am a mother of 6 children and have 5 grandchildren and I have lived in the Wairarapa since 1976 when I embarked on a career in teaching. I met my husband there and we married in 1977 and built the family home which remains as our family base. I became involved in parish life and joining various committees, the parish council and the sacramental programme and was also involved in St Mary’s School when my children began to attend. After my husband died I went back to teaching in 1999 as a reliever and teacher release at the local catholic schools. In 2002 St Mary’s Parish Pastoral Development Team felt it was important to look to the future. It became obvious that there would be a shortage of priests in the Diocese and they asked me if I would consider applying for inclusion in the Launch Out Formation programme. I was accepted and completed my formation in 2010 and began ministry in San Antonio Parish, Eastbourne in May 2011, working with a team of 3 Priests and 2 Lay Pastoral Leaders for two days per week. In 2013 our Parish Priest at St Mary’s moved on and I was offered a further 3 days per week ministering in my own parish with a Priest in sacramental ministry. When amalgamation was imminent, I was offered full time ministry in the Wairarapa working in a Pastoral Team with Fathers Bruce England and Stefano Lee. The Wairarapa became a Parish in 2015 encompassing St Patrick’s, Masterton, St Mary’s/Sacred Heart, Carterton/Greytown and St Teresa’s/ St Anthony’s, Featherston and Martinborough.